A friend of mine is getting hitched next August. She asked me with a bunch of close friends to help with the deco and I am in charge of choosing a Guest Book. 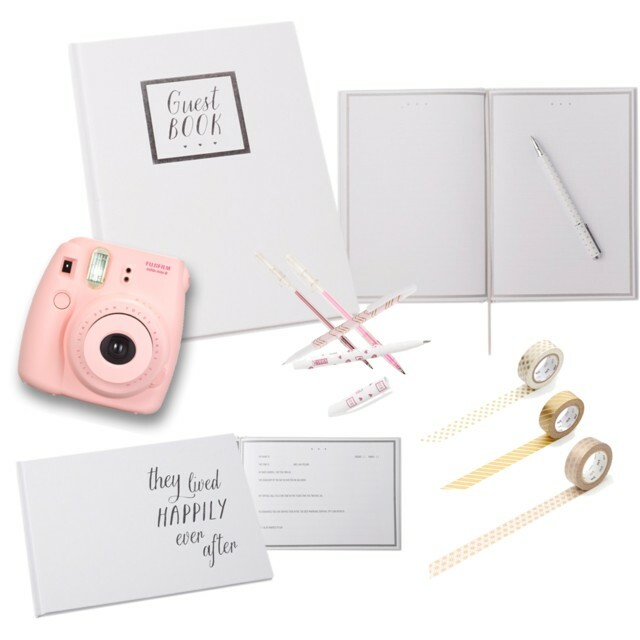 The bride has planned a Photo Booth where the guests will photograph themselves with an Instax, then stick the photo onto the book and write a cute message next to it. Kind of like this: Click on the photo to reach the source. I chose pink and gold for the instax and washi tape but it’s only for the blog, I don’t know what the bride will think of those choices. The guest book is from an Australian Stationery shop that I love. I like its simple elegance. I found another book from the same line that reads “and they lived happily ever after”. I quite like the front cover but inside you can find pre-written questions in English for the guests to answer. This won’t work for my friend’s wedding, obviously. I like the idea of letting the guests choose if they want to reply to a question or write a personal note next to their polaroid. I am undecided about wether the photos should be taped onto the book with colored washi tape or not. 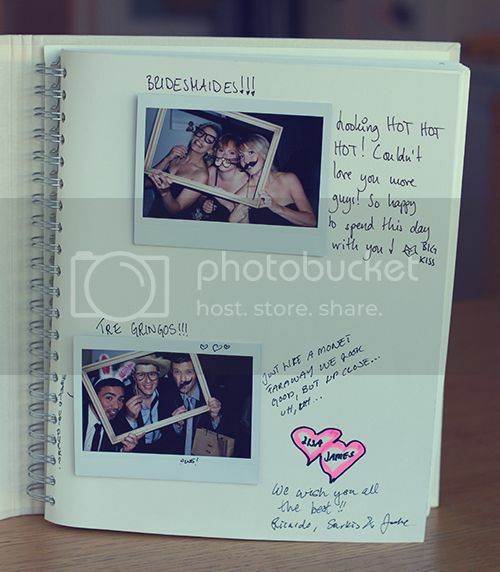 We could use double sided tape like on my example photo above, hiding all signs of tape in the guest book. Hema has lots of pens, highlighters and washi tape to make us all go crazy. Tiger Fly and Amazon also offer lots of great products. The books and pens are from Kikki-K and the washi tape is from Etsy. ETA: The bride has read my article and is a complete fan of everything, especially the question cards!! oop oop!! What are your thoughts about the book? Do you like it? And the washi tape? The questions cards? I’d love to read your thoughts!